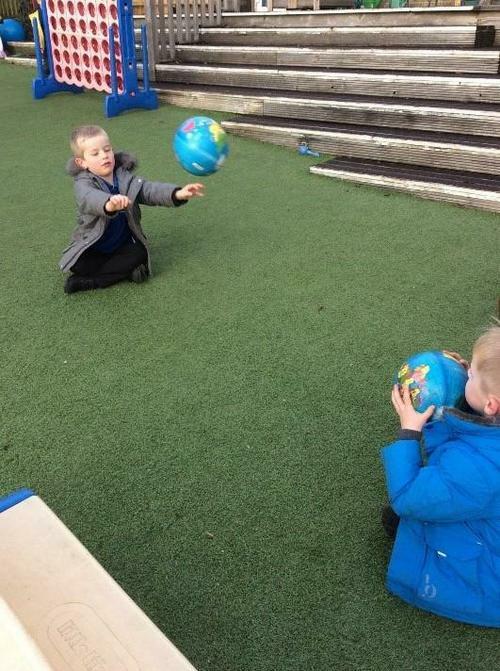 “What can you do in 1 minute” was one of the outdoor challenges this week! 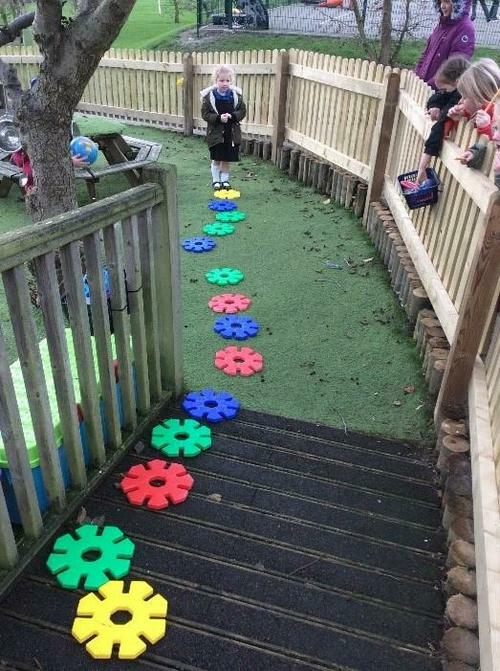 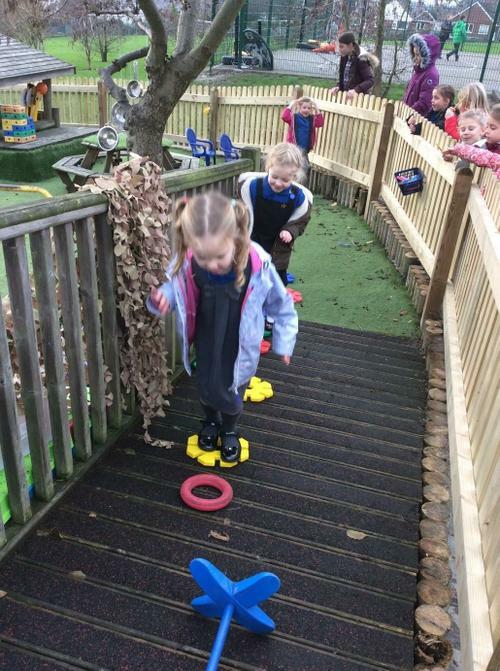 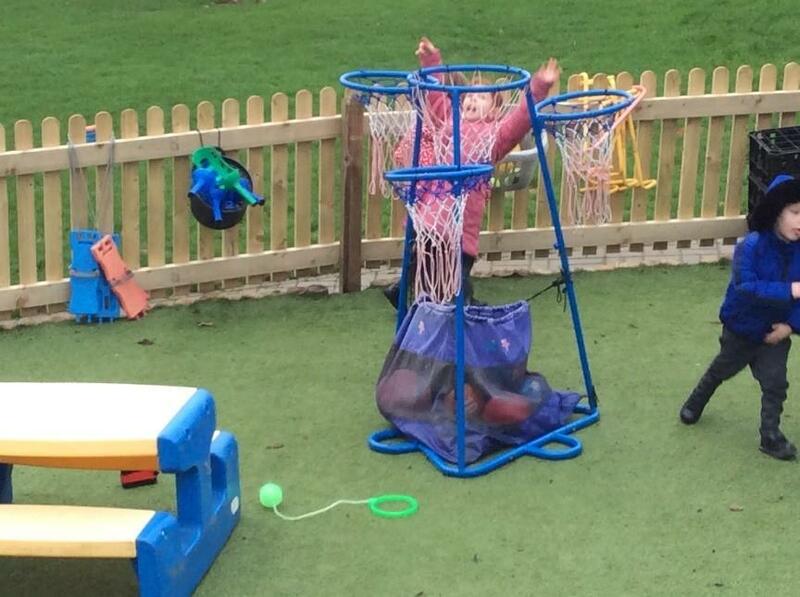 We had throwing and catching, running, throwing balls into a hoop, making a jumping path that you jump along, scooting around the yard and many more fabulous ideas. 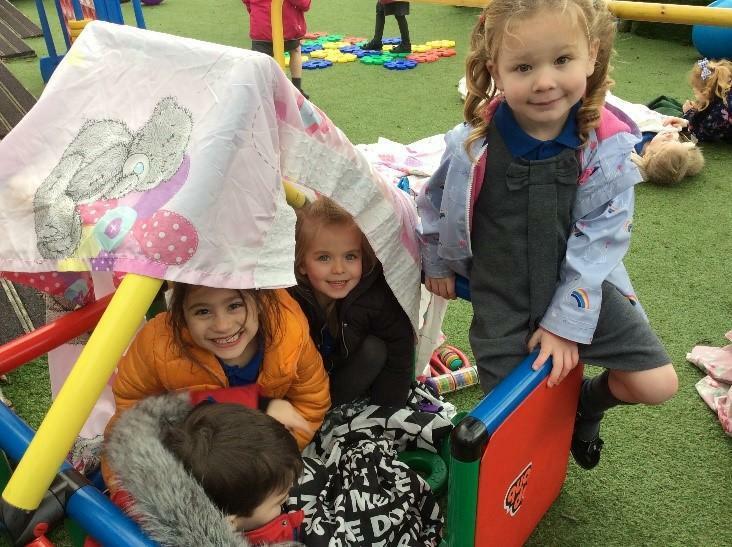 It certainly helped to keep us warm! 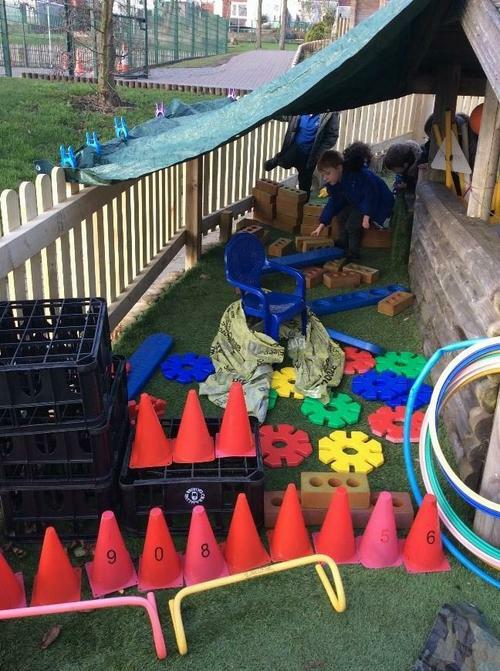 We have been very creative with our den building and demonstrated fabulous negotiation skills this week! 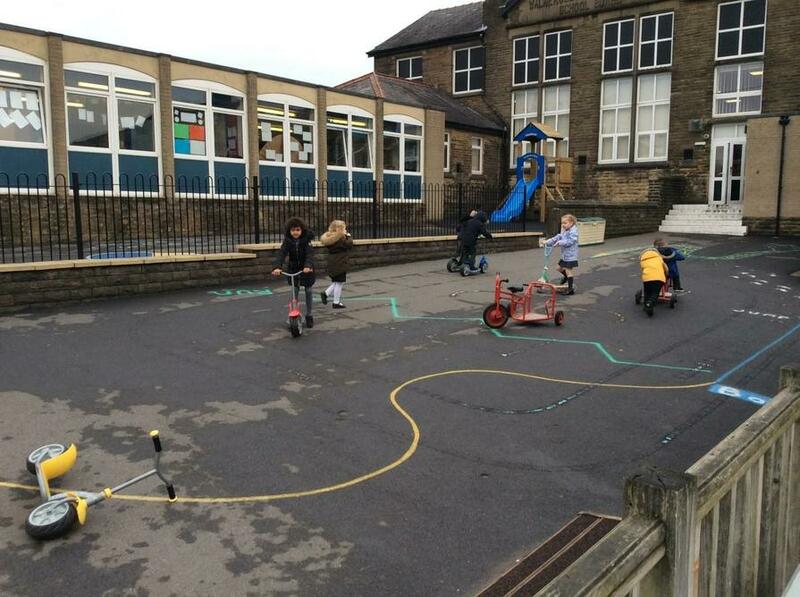 You had to climb over a wall to get in one of them! 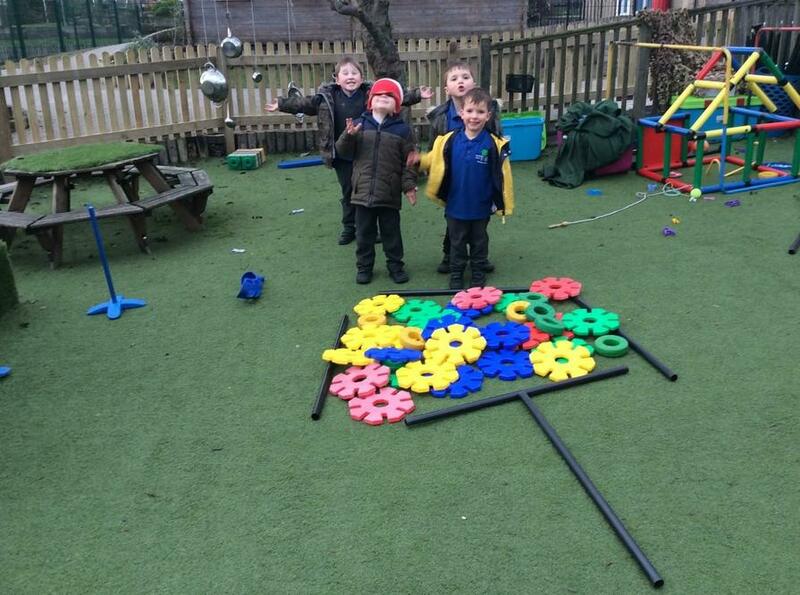 The boys worked together to build a fruit tree! 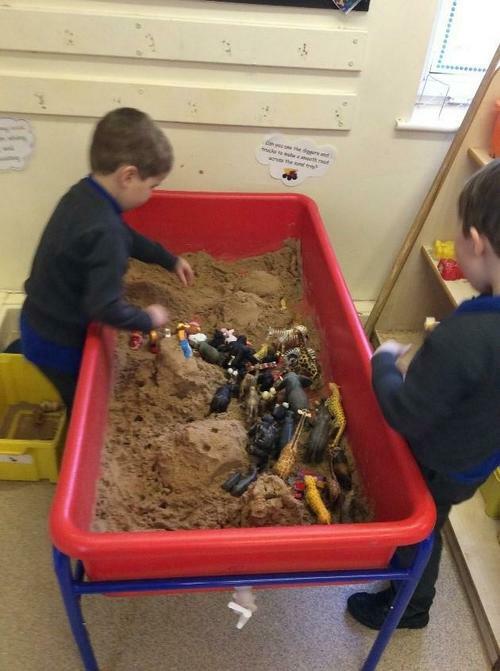 A challenge in the sand area was to build the town of Bethlehem. 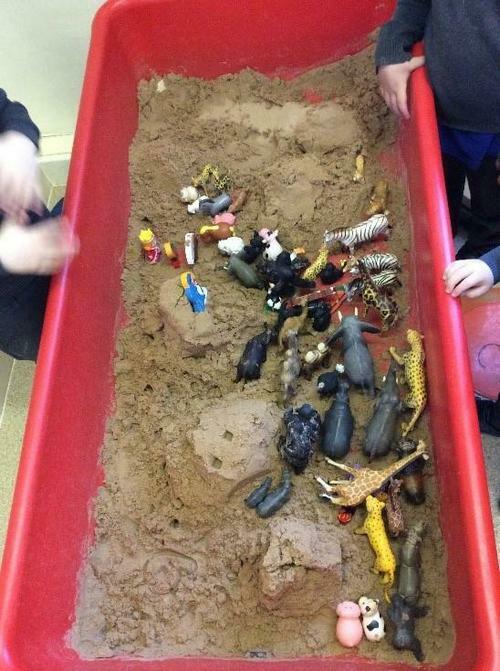 We discovered that there were lots of hills and animals in Bethlehem!